I don’t know about you, but Christmas shopping can be a real pain. Every year I try to find something new for my family. And let’s face it we don’t need any more stuff. The whole meaning of Christmas gets reduced to something wrapped in a box with a red bow on top. So I thought this year I’d give some different kinds of presents. Presents that focus more on encouragement and inspiration. I’ve come across 7 websites I really enjoy that carry different downloadable products which could be great Christmas presents at reasonable prices. And by the way I’m not an affiliate for any of these websites, I simply enjoy their products and think you should take a look. ByDawnNicole.com is a website by hand lettering artist, Dawn Nicole. Dawn has all sorts of downloadable products available. If you click onto her shop, you’ll notice that you can give gift coupons which is a great feature. That way your loved one can choose for themselves the product they’d like to have. This is an excellent site for those with an artistic bent, she has workbooks to teach you how to do hand lettering yourself. BlueeEyedChicaDesigns.com offers all sort of wall art based on Bible verses at a reasonable price. This is a gentle way to give inspiration to your loved one. ArabahJoystore.com is focused on equipping people to follow God better. There are many helpful Bible studies, prayer cards, and workbooks. This website is a great source of gift ideas when you want to give your loved one a gift to help them in their relationship with God. Shop.BeautyofSelah.com is another website that has beautiful wall art with inspiring messages, some are Bible verses, some are not, but they all are encouraging. The style is sure to bring a smile to your loved one. Shop.MyCulturedPalate.com is a reliable website for those who would need health-oriented gifts to give that are downloadable. You can find a great e-book about the 20 super foods you need in your diet, or if you know someone suffering from digestive issues, there is a good e-book about the GAPS diet. This website has a wealth of information regarding healthy living and Dina-Marie, the owner of the site, is a registered nurse, so she knows her stuff. TheHouseWifeModern.com is an endearing source of all sorts of comfy wall art. What’s great about this site is that much of the wall art is free. She has everything from inspirational to just plain cute wall art. The last one I mention is SarahTitus.com where you can find all sorts of good quality downloadables that go in depth. If you are unfamiliar with her, I’d check out her blog first where you can get a taste of what she’s all about with all the freebies you can find there. Then I’d check out her store where you’ll find all sorts of valuable downloadable binders. What’s great about her site is that if you hang out frequently, she often has great discounts even up to 70%. Her website is the place to go when you want good quality and depth combined. But what if you’re not interested in downloadables? I’ve got you covered. What do you think about giving memories instead? After the kids have left home it’s not the gifts they remember but the moments in time when there was a special family connection. Here’s a list of 7 memory making ideas we all know about but have pushed to the back of our minds. Now’s the time to pull these ideas out of the bag and make some memories. I know sometimes kids can be reluctant to do anything, but I think whatever the age you can find a middle ground and get them to do one of the ideas on the list. If the reluctant factor is high, put it this way, this is the gift you want from them. Spending quality time together with your family is the best gift ever. Everyone will remember time spent making a memory years later. What about you, what kind of memory making ideas do you have? 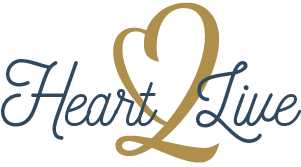 Click here and share your ideas on the Heart2Live facebook page. Let’s help each other make memories.